Following the success of their debut 'Nightmare Street' LP on the twenty-five year strong Ram Records imprint, Teddy Killerz continue their enviable work rate with another cut-throat single. The Russian-Ukrainian trio have become one of the most remarkable acts to descend from their drum & bass microcosm, having worked hard to produce a solid standard of engineering. This is clear throughout every one of their records, from their beginning's on Ram's underground sister-label Program, to their heavyweight album which saw them stretch across a huge spectrum of versatility. However, since their intimidating release at the start of this year and their collaboration with burgeoning newcomer Signal, as well as pivotal set at 174bpm Mecca Let it Roll, they've taken their music in a fresh direction. 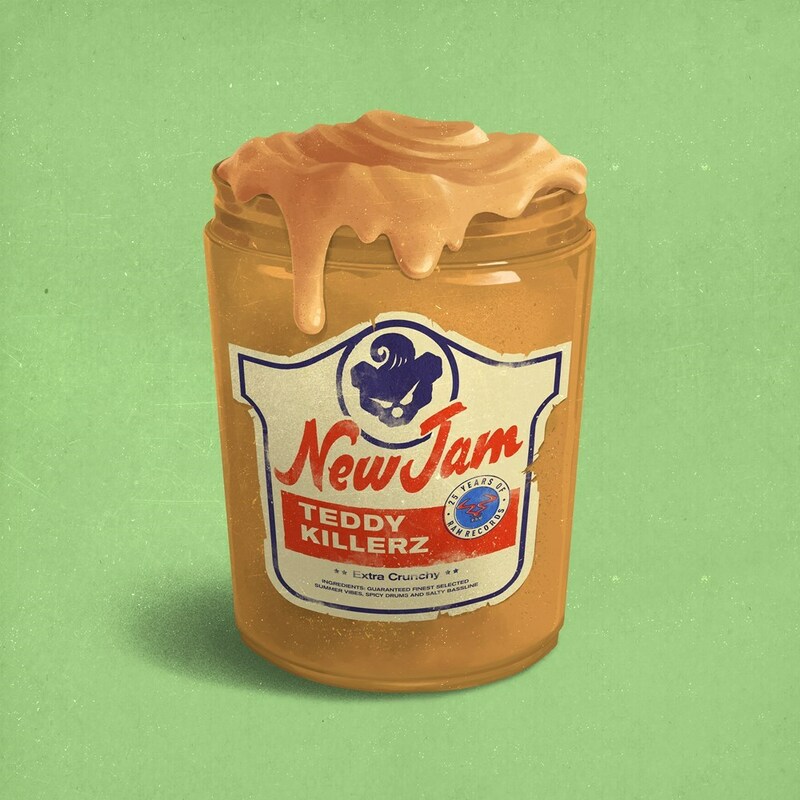 Forthcoming track 'New Jam' is a testament to this, swapping their tear out vision for a more subdued, old-school vibe, and one which filters through the mix yet still manages to pack a kick with every drum break. Featuring ragga-esque vocals, crackling percussion and distorted synth stabs, the intro nods to a change for Teddy Killerz. It demonstrates that they're not a one-dimensional act, dropping deep into a bassline of subterranean levels. The layering leaves you trapped between crazily reverberating bass and finally you're left to be enveloped in Teddy Killerz new wave of engineering; a journey which diversifies the Ram Records discography. Teddy Killerz onslaught remains as intimidating as ever, yet this time they've decided to cause sonic damage through different means. They still provide the jagged edge to Ram Records already impressive roster, but they also prove the label's A&R skill. The range Teddy Killerz have at their disposal, nurtured in the drum & bass hotbed of its furthest reaches, has reached yet another intensity.